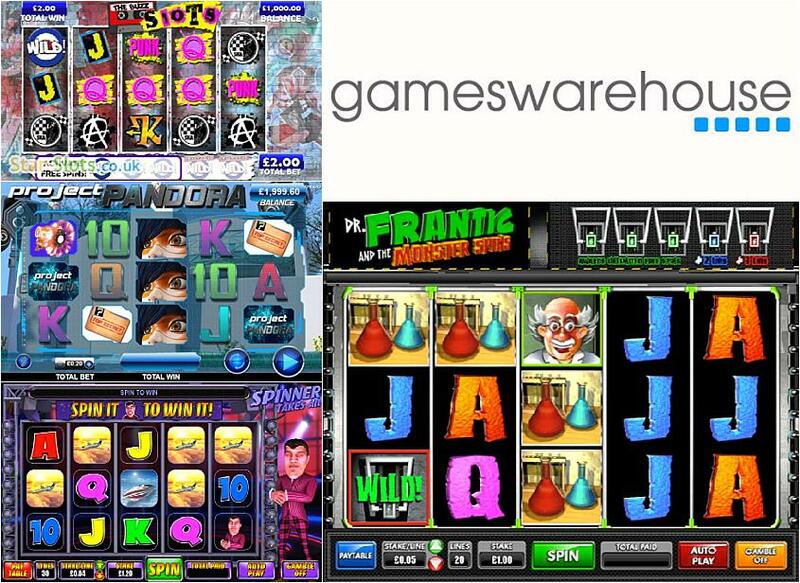 British online gaming developer GW Games has an impressive portfolio of unique, eye-catching and expertly designed slot games. Based in Derby in Central England, the company has placed itself at the forefront of UK innovative online gaming. Unlike some i-game content creators, GW’s core business activity is developing slot games, which ensures that they make the very best games they can without worrying about other services. Not to be confused with another UK brand, Games Workshop, this company is dedicated to the digital world, utilizing the best and newest software in order to create an ever increasing portfolio of fun and highly playable games. Click here to read more. GW Games is a developer with a sense of integrity, and committed to providing games for online casinos regulated by both the UKGC and the Alderney Gambling Commission. All games are also approved and tested by industry-standard quality checkers NMI, eCogra and Quine. The management team and owners at GW Games also made the decision to regularly donate to gambling charities and ensure their games have built-in features that allow players to control their usage so they can enjoy them responsibly. GW Games uses HTML 5 graphics and incorporates these into 3D animations to create some of the best-looking slot games around. GW is also committed to cross-platform integration and optimizes all games to work across the mobile, tablet and desktop operating systems. The company’s medium-sized portfolio is one of the most varied we’ve seen, with cute fluffy games, adventure games, crime-based themes and games based on serious adventure. The popular Wild Realms, for instance, transports players to an enchanted magical forest and indeed to another realm where a fluffy creature acts as your friendly host. The graphics on Wild Realms are truly out of this world. All slots found under the name of this developer have an easy-to-navigate user interface, making it easy to lay a bet, check out the rules and spin those reels glitch-free. If you’ve never played a GW Games video slot before, then be sure to have a go next time you see one. Here at Slots Temple we have a nice selection of GW Game slots, all available to play for free. Our selection includes the 30-payline Cash Commander, the Wild West-themed Wild Bandits and the glitzy Spinner Takes it All, another 30-payline game loosely based on the TV show Wheel of Fortune. Animal lovers will enjoy Birdz, a cascade game that may well have been inspired by a certain famous angry franchise, whilst anglers will enjoy the 40-payline Fishin’ Impossible. For something truly innovative, try The Buzz Slot game, which is one of the only slot games we’ve ever seen based on Punk culture – one for all those ageing rockers and a clear nod to the company’s British values! Try a GW Games slot today and discover what all the fuss is about – you’re sure to find one you love.